The intent of the project is to replace the old and deteriorated 48 and 72 inch diameter trunk water main with a new 48 and 72 inch diameter steel pipes. In Park Place a new 48 inch diameter trunk water main will be installed from 5th Ave. to 6th Ave. for approximately 800 linear feet. In St. Johns Place between 5th Ave. and 8th Ave. a new 72 inch diameter steel trunk water main will replace the existing one for approximately 2,500 linear feet. 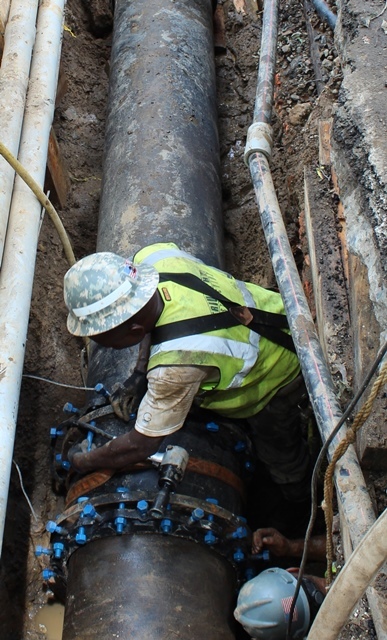 In 6th Avenue between Union St. and Park Place, a new 72 inch diameter steel trunk water main will replace the existing for approximately 1,300 linear feet. This subsurface work will also involve other appurtenant works such as the installation of 36 and 60 inch butterfly valves, 20 inch regulator valves, access manholes aircock hydrants, insulated flange joints and associated chambers. The project also involves the installation of new 8 inch water mains in Baltic St. and Douglas St. between 4th and 5th Avenues and in Butler St. between 4th Ave. and Gregory Place..
A new 18inch diameter ESVP combined sewer will be installed in St. Johns Place between 5th and 6th Ave. and in Park Place between 5th and 6th Ave. In 6th Avenue between St. Johns Place and Park Place a new 4.5 foot by 5.0 foot HFTRC storm sewer, a 54 inch diameter RCP storm sewer and a 12 inch ESVP sanitary sewer will be installed. In 6th Ave. between Union St. and St. Johns Place, a 4.0 foot by 5.0 foot storm sewer will be installed and in St. Johns Pl. 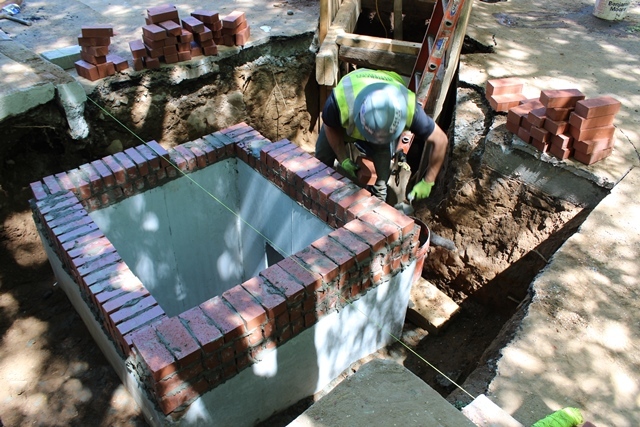 between 6th and 7th Ave., a new 30 inch diameter RCP storm sewer will be installed. In St. Johns Pl. between 7th and 8th Ave. and in 8th Avenue between Lincoln Place and St. Johns Pl., a new 24 inch diameter RCP storm sewer will be installed.